As the presenting sponsor of “FarmHer on RFD-TV,” Syngenta proudly honors the women of ag. Marji Guyler-Alaniz (right) visits Stacy Whitener (left) at Pecan Grove Farms in Bastrop, Texas. Syngenta has announced that it will be the presenting sponsor of “FarmHer on RFD-TV” for a second consecutive season, which starts this fall. 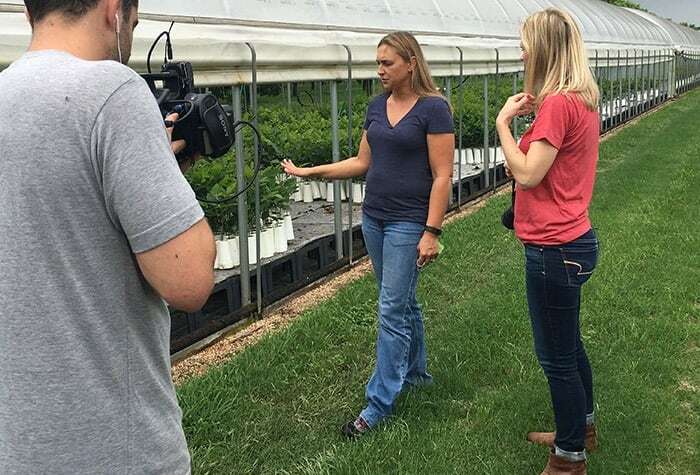 During the show’s inaugural season, viewers had the opportunity to meet women from across the country who contribute to agriculture in their daily lives. Marji Guyler-Alaniz, the show’s host and founder of the FarmHer movement, visited more than 43 farms, ranches and agricultural labs during season one, to give viewers a glimpse into the lives of some of the women who make up 30 percent of the farming workforce. The original TV series also won the Cynopsis TV award for the Best Reality Series: Family-Focused category during its first season. The #FarmHer journey continues this fall with new episodes featuring #womeninag. Guyler-Alaniz and her team have already begun traveling the country to visit FarmHers to feature in season two. The Syngenta #RootedinAg Spotlights will also be returning for a second season with a focus on the women who have inspired others to follow their dreams. FarmHer returns to RFD-TV on September 8, with episodes airing Fridays at 9:30 p.m. Eastern time.